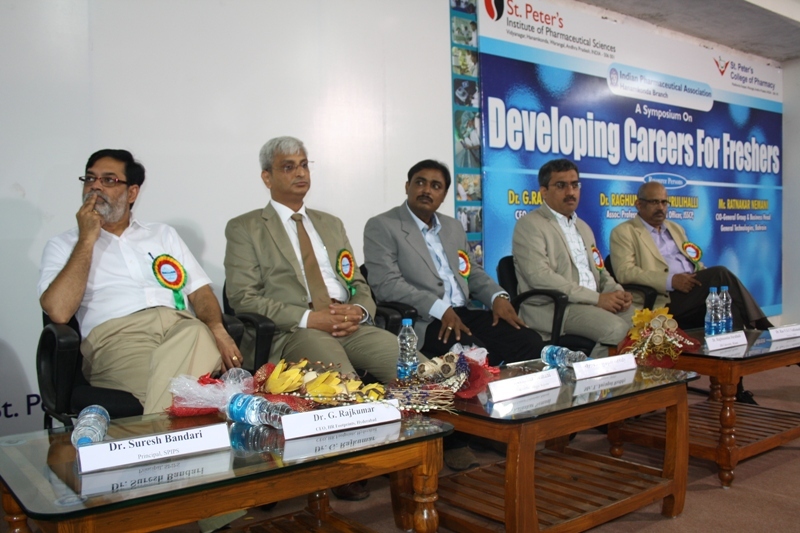 A first-of-its-kind symposium on the theme “Developing Careers for the Freshers” was organized at St. Peter’s Institute of Pharmaceutical Sciences in association with Indian Pharmaceutical Association, Hanamkonda Branch on August 8, 2013. This symposium was organized with a view to familiarize the teaching faculty and the fresh graduates to focus on teaching and learning practices to improve employability of fresh graduates for better placements in the pharmacy profession. 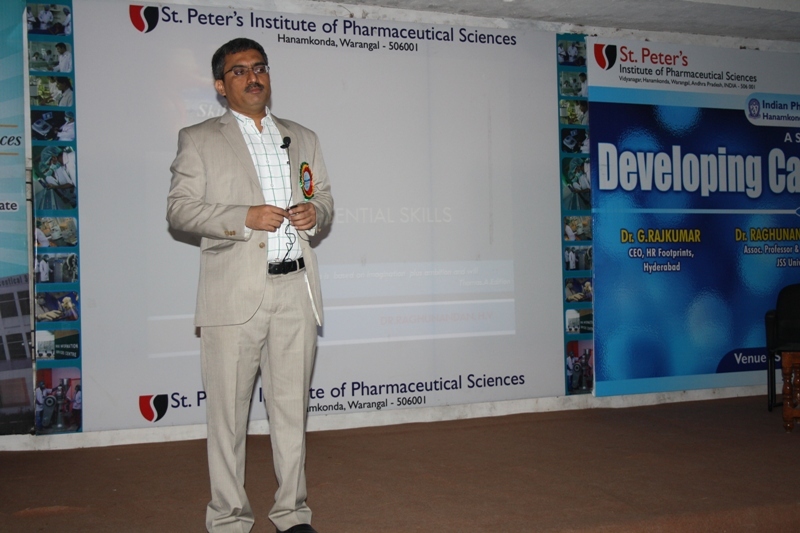 In this symposium, Dr. Raghunandan Hurulihalli, Associate Professor and Placement Officer at JSS University, Mysore spoke on “Essential Skills in the Pharma Work Place”. The video of Late Mr. Steve Jobs address at Stanford University caught the attention of students with a message that hard work is the key to success. The butterfly story touched the audience signifying, how to be mentally prepared to face the challenges of the work through hard work and interactions with others in the work place. 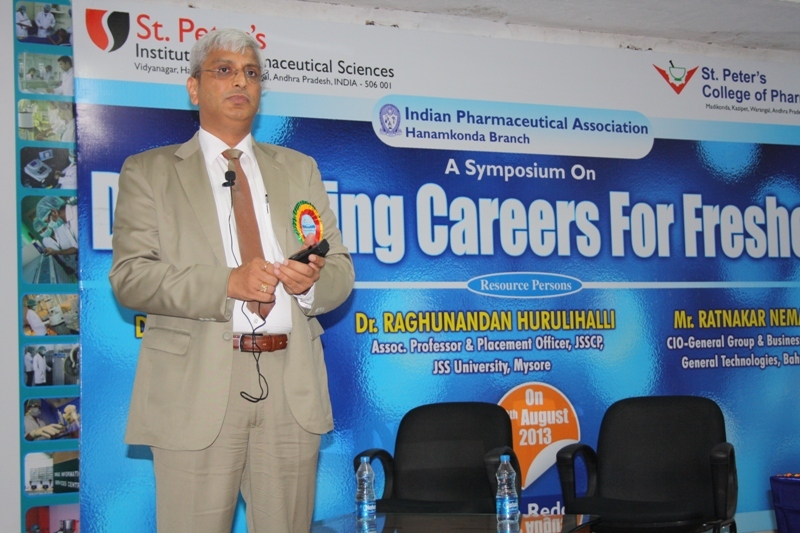 Dr. Raj Kumar, CEO, HR Footprints, Hyderabad addressed on the topic, “Expectations of Employers and how Institutions and Freshers meet them”. The speech focused on proper application of skills that are learned in classroom. Dr. Raj also emphasized on how students are required to reflect critically and make sure that they are unique, resourceful and dependable. Dr. Raj guided all the students that they have to build their curriculum vitae rather than just write it! Mr. Ratnakar Nemani, CIO-GeneralGroup and Business Head, General Technologies, Bahrain elaborated on the topic “How Fresh Graduates make themselves Highly Employable”. He emphasized that the fresh graduates should be confident communicators, good team players, critical thinkers and problem solvers. He explained the importance of goal setting with live examples. He concluded his talk with the video of Richard Tulele’s TED presentation on “my invention that made peace with lions”, which emphasized on communication skills. 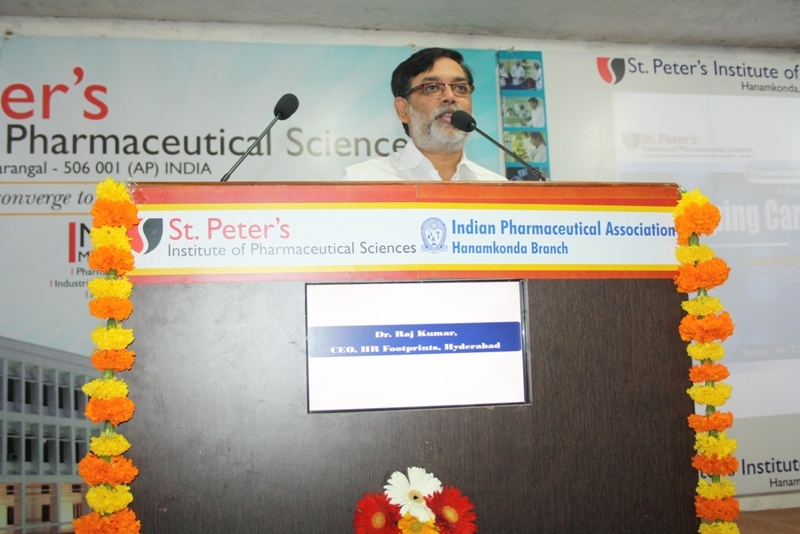 This symposium was attended by a full house of 300 students with rapt attention. The Chairman, T Jayapal Reddy, Director, Dr. Rao Vadlamudi and Principal, Dr Suresh Bandari of SPIPS thanked and felicitated all the speakers for their valuable contributions at the symposium. They also congratulated everyone for the sincere efforts in making this event a huge success.